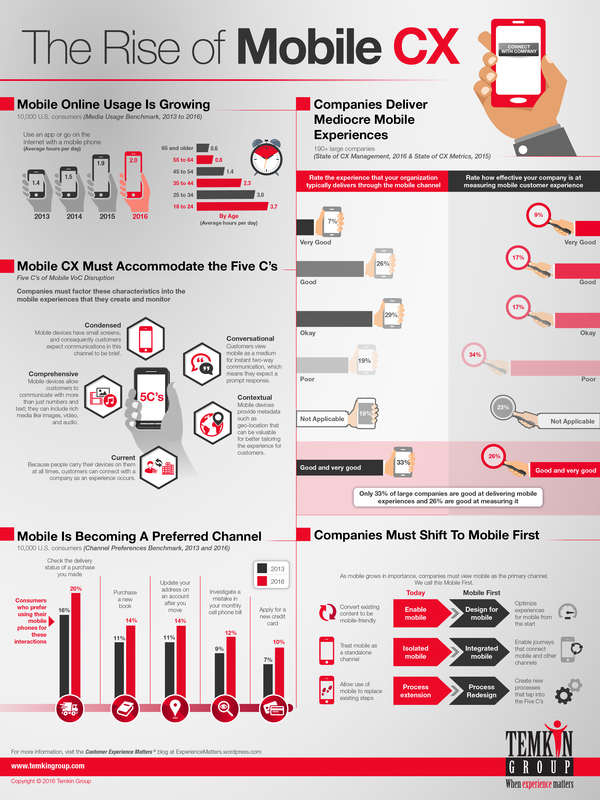 I’m sure you’re not surprised to hear that mobile customer experience is on the rise, but this infographic provides some more insights on what that shift looks like. It pulls from a variety of Temkin Group research, including: Data Snapshot: Channel Preferences Benchmark, 2016, Five C’s of Mobile VoC Disruption, Data Snapshot: Media Use Benchmark, 2016, and The State of CX Metrics, 2015. You can download this infographic in different forms below, including in poster form. The bottom line: Make sure you have plans to be mobile first.